Genetics and Molecular Research, Ribeirão Preto, v. 13, n. 4, p. 10294-10300. #Broiler chickens#Carcaça - Desempenho#Frangos de corte#Genetic traits#Genética animal - Parâmetros#Legs defects#Linhagens animais#Seleção animal.#Selection. Orsi, M. A.; Doretto Jr, L.; Camillo, S. C. A.; Reischak, D.; Ribeiro, S. A. M.; Ramazzoti, A.; Mendonça, A. O.; Spilki, F. R.; Buzinaro, M. G; Ferreira, H. L.; Arns, C. W.
Conselho Nacional de Desenvolvimento Científico e Tecnológico (CNPq); This study was carried out during 2002/2003, aiming to determine the prevalence of virulent Newcastle disease virus strains (NDV) in Brazilian commercial poultry farms. Clinical samples were obtained from the Southeastern, Southern and Central-Western regions, which comprise the main area of the Brazilian poultry production. Serum samples and tracheal and cloacal swabs of 23,745 broiler chickens from 1,583 flocks, including both vaccinated chickens and those with no vaccination information, were tested for NDV using a diagnostic ELISA kit. The seropositivity was 39.1%, and the isolation percentage by flock varied from 1.0 to 7.6%, and by region from 6.5 to 58.4%. Higher isolation rates (74.3-83.3%) were obtained after three passages in embryonated chicken eggs. All isolates preliminarily identified as NDV were characterized as nonpathogenic strains, as their Intracerebral Pathogenicity Index (ICPI) was below 0.7. Based on results of this study, Brazil can claim a virulent NDV-free status for commercial flocks. The traditional method of total excreta collection was applied, using 30 to 40 day old male Ross 308 broiler chickens. One hundred and eight broiler chickens were used, randomly assigned to a 3x3 factorial experimental design. The room temperatures were 14 C (cold), 25 °C (thermoneutral) and 32 °C (hot) and the three diets were 100% maize, 100% sorghum with tannin and 100% sorghum without tannin, with four replicates of each. The digestibility coefficients for the dry matter, crude protein, crude fibre, neutral detergent fibre, acid detergent fibre, ether extract, mineral matter and nitrogen-free extract were determined. It was observed that all the digestibility coefficients were higher in the hot chamber and lower in the cold chamber, and that these values tended to be higher for maize. This study aimed to evaluate the effects of probiotics and prebiotics of bacterial and yeast origin on the performance, development of the digestive system, carcass yield and meat quality of free-range broiler chickens. Five hundred and sixty male chicks of the strain ISA S757-N were reared from one to 84 days old. The birds were distributed in four treatments according to a completely randomized block design: T1 = Control, T2 = Probiotics and Prebiotics of bacterial origin, T3 = Probiotics and prebiotics of yeast origin, T4 = Probiotics and prebiotics of bacterial origin + probiotics and prebiotics of yeast origin. There were four repetitions with 35 birds per repetition, and the birds had access to a pasture area after 35 days of age. Characteristics evaluated were performance, development of the digestive system, carcass and parts yield, abdominal fat, breast meat physical measurements (length, width and height) and meat quality parameters (pH from breast and leg meat, cooking loss and shearing force from breast meat). Lower mortality (p<0.05) and higher weight gain from 64 to 77 and 64 to 84 days of age were seen in birds supplemented with probiotics and prebiotics of bacterial origin compared to the non-supplemented birds (control). There were significant differences (p<0.05) among treatments for carcass yield. Birds supplemented with both probiotics and prebiotics of microbial and yeast origin (T4) showed higher carcass yield than control birds. Supplementation with probiotics and prebiotics of bacterial origin (T2) or the supplementation of these together with those of yeast origin (T4) reduced mortality and increased the carcass yield in free-range broiler chickens. Collin, A.; Malheiros, R. D.; Moraes, VMB; Van As, P.; Darras, V. M.; Taouis, M.; Decuypere, E.; Buyse, J.
Baptista, Ana Angelita S.; Donato, Tais C.; Souza, Edmárcia E.; Gonçalves, Guilherme A.m.; Garcia, Keila C.o.d. ; Rodrigues, João C.z. ; Sequeira, Júlio L.; Andreatti Filho, Raphael L.
Millar,Patricia R.; Alves,Fernanda M.X. 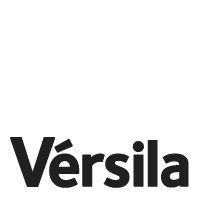 ; Teixeira,Vinicius Q.; Vicente,Regiane T.; Menezes,Eline M.; Sobreiro,Leila G.; Pereira,Virginia L. de Almeida; Amendoeira,Maria R.R. Baptista,Ana Angelita S.; Donato,Tais C.; Souza,Edmárcia E.; Gonçalves,Guilherme A.M.; Garcia,Keila C.O.D. ; Rodrigues,João C.Z. ; Sequeira,Júlio L.; Andreatti Filho,Raphael L.
This study evaluated a phytogenic feed additive for broiler chickens. A total of 1,632 broiler chicks were distributed into four treatments: negative control (without growth promoter); positive control (avilamycine, 10ppm + colistin, 15ppm); and two alternative treatments with 150ppm of phytogenic additive, one with a reduced Ca and P levels diet (PA-R1) and the other with lower energy, and amino acids, besides Ca and P (PA-R2). The trial was conducted with 12 replicates, each consisted of a pen with 34 birds. The alternative diets showed body weight intermediate to the two controls at 42 days, with no significant (P>0.05) treatment effect on feed conversion ratio. No treatment differences (P>0.05) on carcass yield and composition was observed. There was a tendency of abdominal fat lipids saturation, when the phytogenic additive was used, as possible consequence of a decreased level of soybean oil in the diets. A difference (P<0.001) on ingredient consumption profile was observed between the treatments. All together, this study showed a possibility to reduce the cost of total feed used to produce a broilers or a ton of body weight by the utilization of the tested phytogenic additive. This study was carried out during 2002/2003, aiming to determine the prevalence of virulent Newcastle disease virus strains (NDV) in Brazilian commercial poultry farms. Clinical samples were obtained from the Southeastern, Southern and Central-Western regions, which comprise the main area of the Brazilian poultry production. Serum samples and tracheal and cloacal swabs of 23,745 broiler chickens from 1,583 flocks, including both vaccinated chickens and those with no vaccination information, were tested for NDV using a diagnostic ELISA kit. The seropositivity was 39.1%, and the isolation percentage by flock varied from 1.0 to 7.6%, and by region from 6.5 to 58.4%. Higher isolation rates (74.3-83.3%) were obtained after three passages in embryonated chicken eggs. All isolates preliminarily identified as NDV were characterized as nonpathogenic strains, as their Intracerebral Pathogenicity Index (ICPI) was below 0.7. Based on results of this study, Brazil can claim a virulent NDV-free status for commercial flocks. Genetic and phenotypic parameters of carcass and organ traits of broiler chickens. VENTURINI, G. C.; CRUZ, V. A. R. da; ROSA, J. O.; BALDI, F.; EL FARO, L.; LEDUR, M. C.; PEIXOTO, J. de O.; MUNARI, D. P.
Fonte: Genetics and Molecular Research, Ribeirão Preto, v. 13, n. 4, p. 10294-10300. 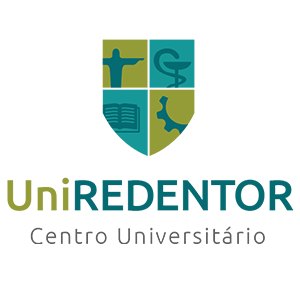 Publicador: Genetics and Molecular Research, Ribeirão Preto, v. 13, n. 4, p. 10294-10300. Variation in the digestion of energy by broiler chickens.